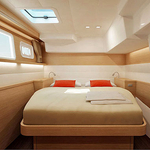 Yacht Lagoon 450 called Upboat has been manufactured in 2014. 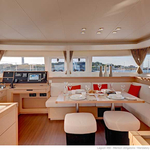 We propose her from harbor Portisco in the area of Sardinia. Upboat is registered for 12 persons. 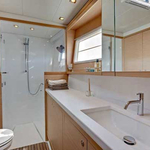 Layout of the sailboat is 12 (8+2+2 convertible table in salon). 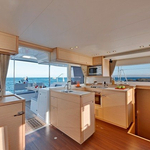 Lagoon 450 Upboat has 6 bedrooms. For comfort of passengers there are 5 heads. You can fill the diesel tank with 1000.00 l liters and in water container it goes even 1000.00 l l. With engine 2x54 hp Upboat can sail really fast. Upboat is 13.96 m long and 7.84 meters wide. Depth is 1.30 meters. 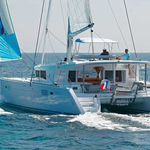 You can get more yachts by opening this link here: Catamarans Portisco. 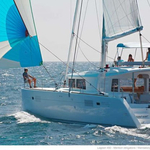 Boat's equipment consists of : Water maker, Radio / cd player, Autopilot, Gps plotter, Bimini top, Dinghy, Wc pump electrical, Mainsail with lazy jack, Inverter 12v-220v. . Nonrefundable caution there is 0.00 EUR. 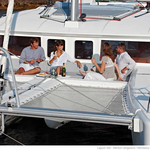 Choose our offer and spend great time on the deck of Upboat. 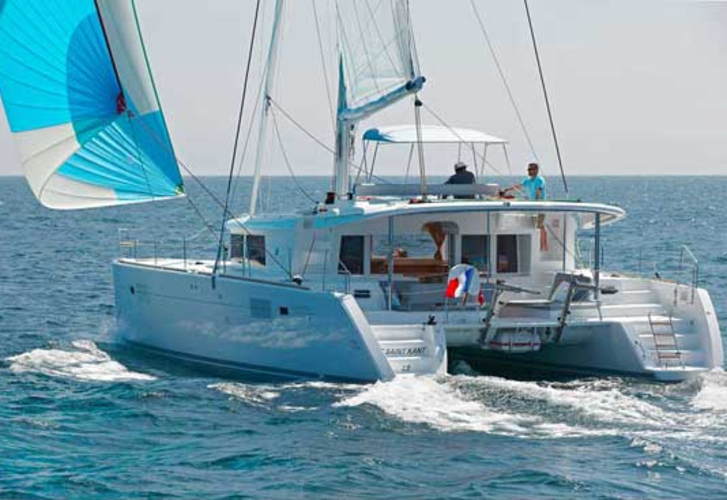 This Lagoon 450 from Portisco from Italy Read about under this link: Catamarans Italy.